Welcome in Dorodgne to Perigord! 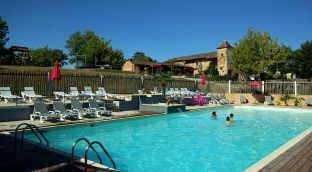 It is with pleasure that we welcome you in 4 * campsite in france LAS Patrasses with water parks. Our 4-star campsite offers you luxurious and comfortable accommodation. Our Tents Luxury Lodge! Give him an unusual weekend in Dordogne / Lot et Garonne! Discover our luxury lodge tents with health, our redesigned cottages and our cottages! Be the first to try them! Weekend / unusual all-inclusive idea original gifts! In September, discover the call of the deer that resonates in our forests. Emotions and thrills! Our Lodge Luxury tents with health! Create a gift box! 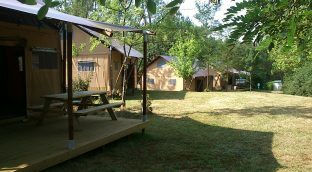 Discover our unusual accommodations, a "glamping" with tips and theme weekend in the Dordogne, the best sights to visit! Open from 10am to 22pm pool, nothing more enjoyable than a dip after a hot and eventful day. Holiday in france relaxation, nature, food, culture, sports ... you choose!